What Is Metal Fabrication – And Why Do I Need It For My Yacht? And Why Do I Need It For My Yacht? If you’re looking to restore or renovate your yacht, you may be wondering what metal fabrication is – and in which cases you may need to contact a metal fabrication company to work on your vessel. In this article, we’ll take a look at metal fabrication, and discuss some of the most common structures that must be fabricated when making an addition to your boat. Let’s get started. Metal fabrication is the process of turning various raw metal materials, such as aluminum, stainless steel, copper, and other alloys into finished metal products. 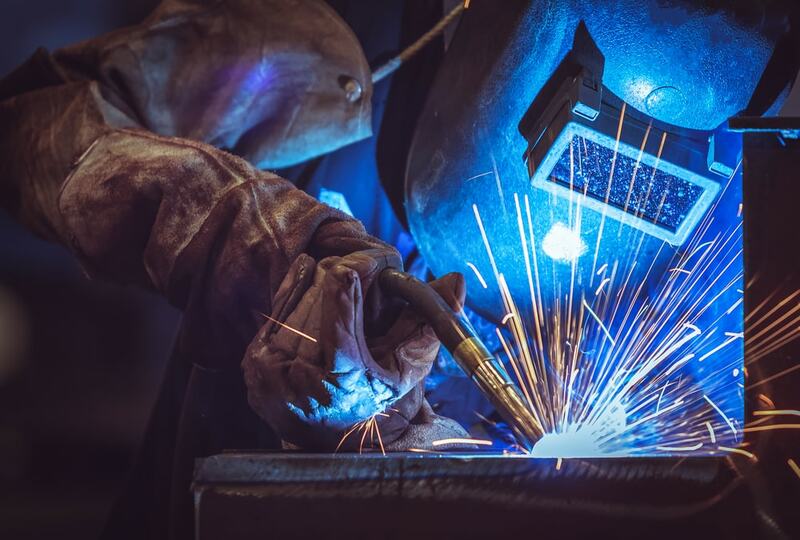 The results of metal fabrication can vary wildly – it can be used to create anything from handrails to structural frames, or even individual parts for different machines. Typically, a metal fabrication shop blends together three processes that are often found separately in other machine shops – cutting, bending, and assembling. Metal cutting is the first step of the process. This involves sawing, chiseling, shearing, hand-torching, another method of cutting a piece of metal down to the correct and proper size. This can also be done by CNC machines and other advanced tools. Bending can be done via hammering, or by using a press brake or another similar tool to achieve the proper bend structure. Assembling can also be done by various means, from riveting, to welding, adhesives, threaded fasteners, or further bending (crimped seams). Metal fabrication is distinct from other processes which create similar products, such as machining, forging, metal stamping, and casting. Metal fabrication can be used for a wide variety of marine projects. Here are some common projects that utilize metal fabrication services. Deck railings – Deck railings usually must be custom-built, and metal fabrication is usually used to create these railings out of existing structural or stainless steel tubes. Utilizing metal fabrication instead of casting or machining allows customers to save time and money. Ladders – A new ladder may be required during the renovation of a marine vessel, or due to an addition that makes the old ladder too short, or otherwise inappropriate for use on the boat. Boat towers – Boat towers are a common addition to smaller vessels and pleasure craft. They are often used for wakeboarding and waterskiing, and provide a higher, secure attachment point for these water sports accessories. Hull extensions – Need a little more space to maneuver on your yacht? A hull extension is a common solution. This is a very technical project, and it requires expertise not only in machining and metal fabrication, but also in fiberglass molding and tooling, gel paint, and more. A hull extension should not be taken lightly – but if you are looking to extend your yacht without purchasing a new vessel, it’s often the best choice. These are just a few examples. Almost any structure can be built by a marine metal fabrication shop, so the possibilities are endless. Interested In Marine Metal Fabrication? Contact Us Now! Whether you’re curious to learn more about the process of metal fabrication, or you need a new metal superstructure for your yacht, get in touch with K&G Marine today. We have proven expertise in metal fabrication, and we can provide you with the best results. Take a look at our gallery of past projects to learn more, and get started today. 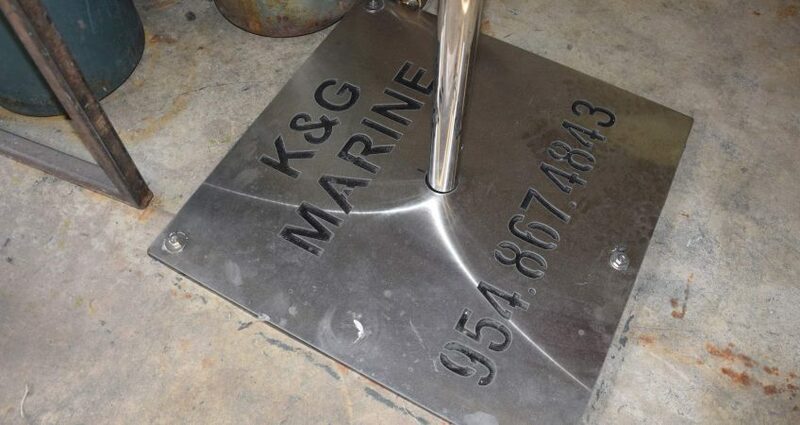 K&G Marine specializes in custom stainless steel fabrication for all types of vessels and yachts. We are conveniently located in sunny Fort Lauderdale. K&G Marine Copyright 2017 | Site by SGM.